LB3 LED Light Pad is different from usual LED Light Pad, it is wireless with USB/Lithium Battery inside powered that you can enjoy the convenience of working anywhere you like. 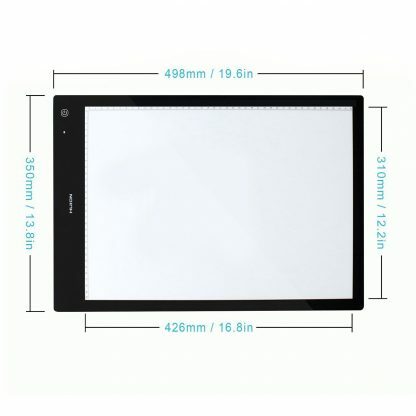 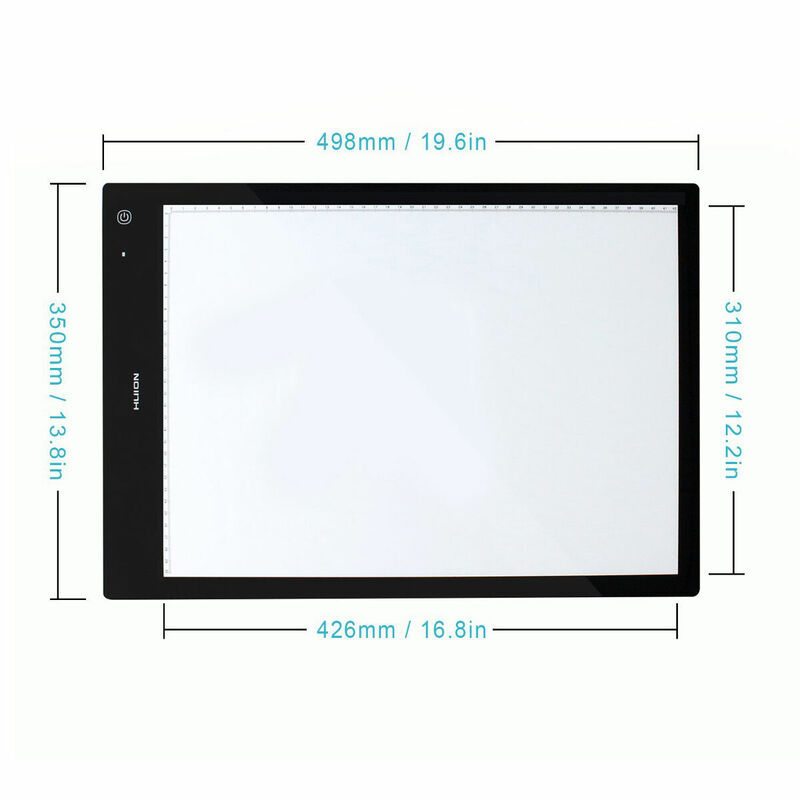 It is very thin, only 8 mm in thickness and weight 0.32 ounces; you are free from the space limitation for its portable and convenient. It only needs 1.5 hour to be fully charged the light pad as its low power consumption. 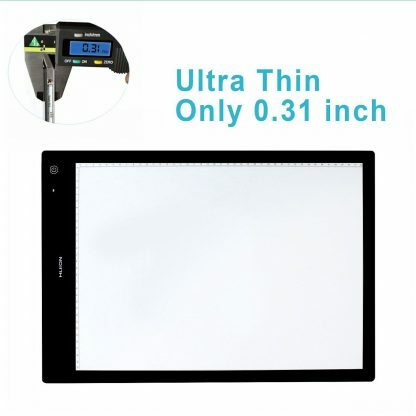 But it has long lasting battery which can support approx 2 hours continuous work when turned on with a fully charged battery. 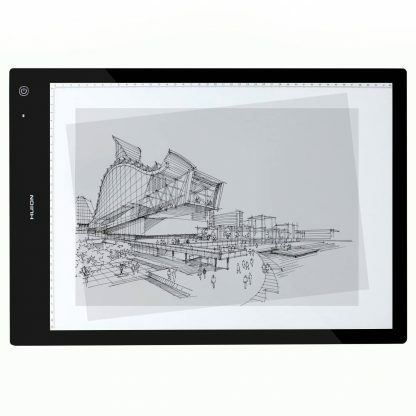 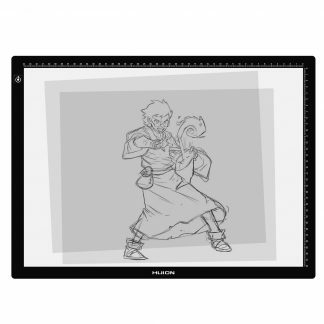 Huion LED Light pad is designed for everyone whether you are an enthusiastic amateur or a professional artist. Eyesight-protected Technology is designed in it that’s perfect for diversified usage such as sketching, drawing, animation making, calligraphy and tattoo tracing. 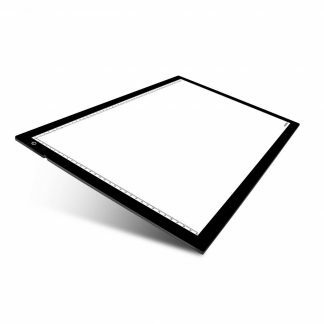 LB3 led light pad is enhanced version of A3 LED light box. 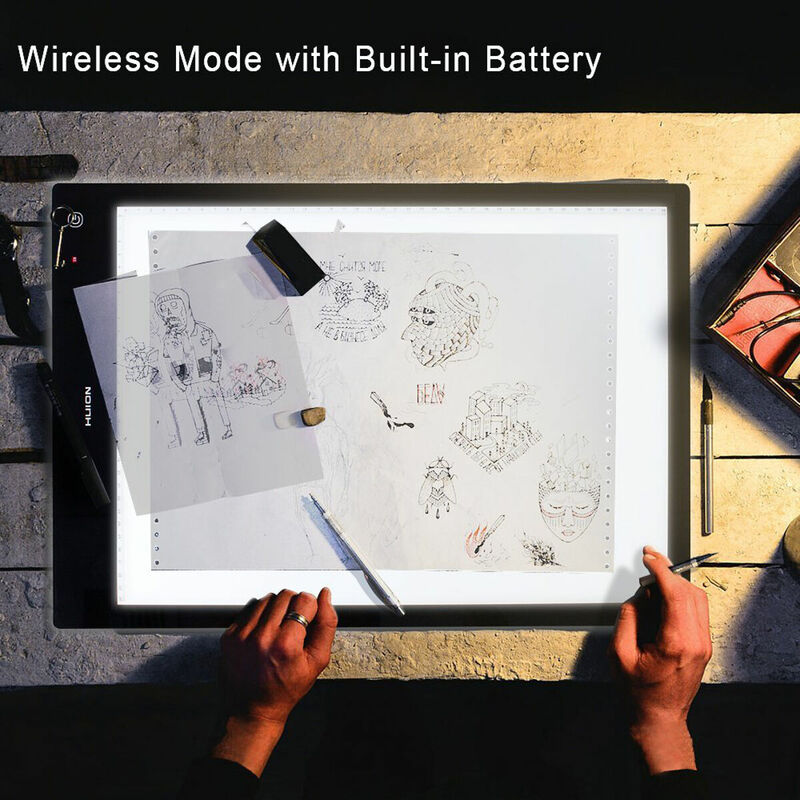 Like A3 LED model you can plug it into wall socket via power adapter. 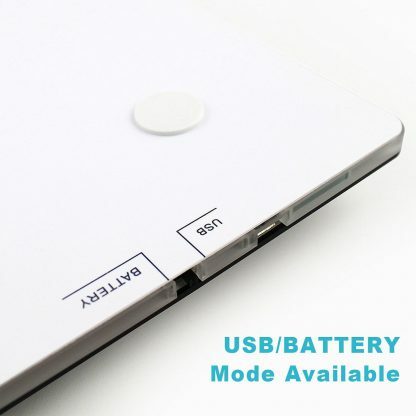 Additionally you can supply power via USB – just connect it to your computer or power bank with enclosed USB cable. 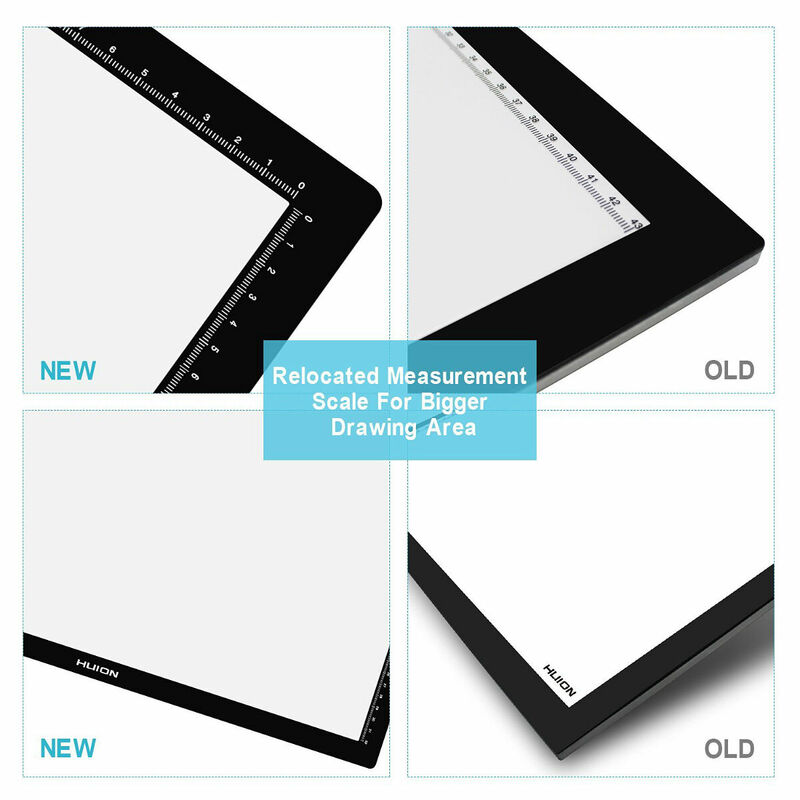 LB3 is super bright, even brighter than other tracing boards we produced before. You can put more and/or thicker papers on it and just enjoy your work. 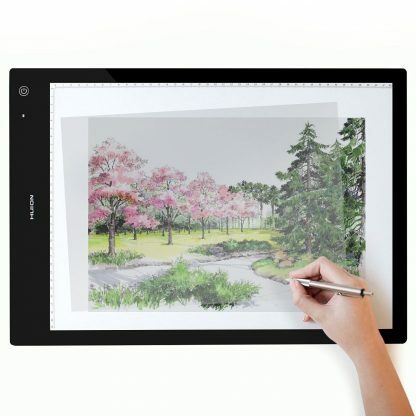 Besides, it is worth mentioning that you don’t need to worry about the heating even though the larger brightness. 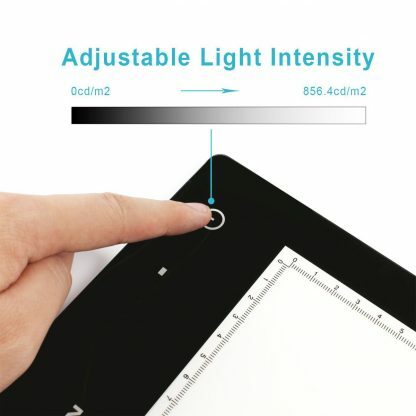 It is very easy to use, there is only one button – touch control button; to switch it on/off and to set brightness. Brightness is gradual, not in steps like low, medium, and high. Brightness setting from previous session is memorized and when you turn it on, brightness is the same as when you turned light box off..
To avoid touching button by mistake, touch control button has been moved little bellow working area surface. 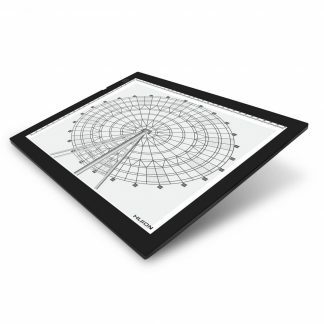 Ruler has been moved from the active area to get more active area. 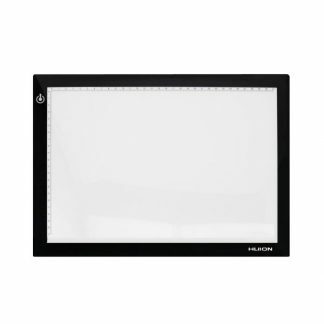 With a compact and elegant design with only 8 mm in thickness, Huion LB3 LED light box is considered to be a thinner light board in the field.